The Fresca Hudson Black Transitional Bathroom Mirror has a simple rectangular silhouette that adds an airy elegance to any space. With a MDF frame and water resistant finish, it measures 20-inch W x 30-inch H x 1-inch D and comes with mounting hardware. 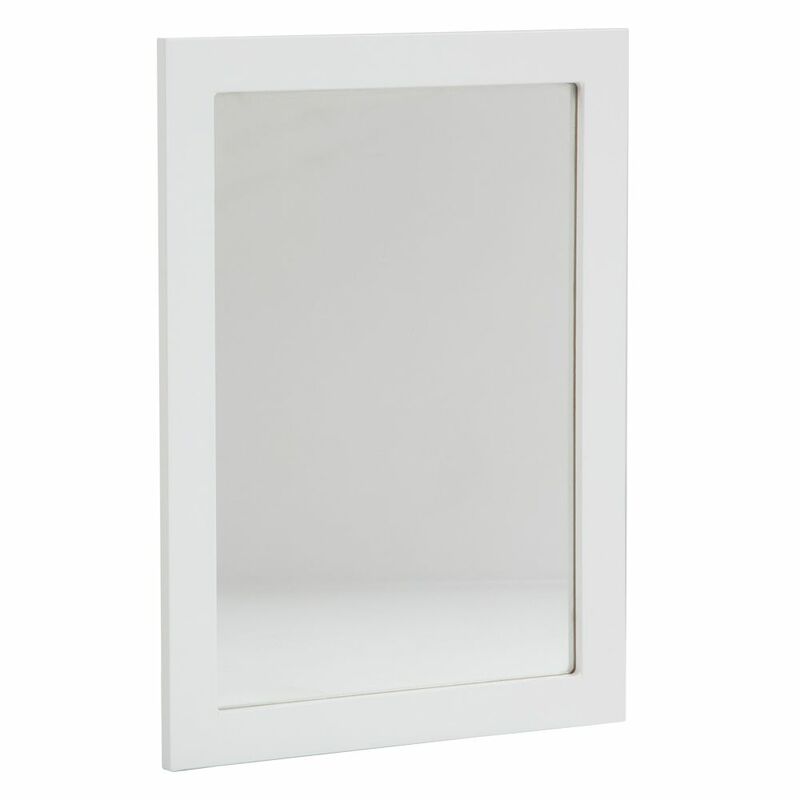 Available in several colours, this mirror is a perfect match for the Fresca Hudson Vanity line. Lancaster 20 Inch Wall Mirror in White - LAWM20C-WH The Lancaster wall mirror combines transitional furniture stylings and a smooth white finish for a clean and beautiful look. Designed to be hung vertically or horizontally. This wooden framed mirror matches the Lancaster Vanity Collection for a coordinated look.